Total Station Survey | SAAR IT Resources Pvt. Ltd. The total station is an electronic theodolite (transit) integrated with an electronic distance measurement (EDM) to read slope distances from the instrument to a particular point, and an on-board computer to collect data and perform advanced coordinate based calculations. Total Stations use electronic transit theodolites in conjunction with a distance meter to read any slope distance from the instrument to any particular spot. 2. Can be operated at a distance, hence requiring only one surveyor in the field, rather than the traditional two. 3. Total Stations include up-to-date image capture technology, which can record any image or screen-view from the surveying site, eliminating the need for costly revisits, and producing high-resolution images of site conditions. 4. The data processed and stored in the Total Station can be downloaded to other computer systems, for archiving or distribution, or to be used with other applications such as mapping software. SAAR being one of the pioneers in Tree Census Surveys, brings right amount of experience and quality. Through intensive research SAAR has developed TREELOGY, a exclusive tree survey Application. It covers all aspects of tree survey and is considered a boon for surveyors . SAAR Geospatial team has state of art technology and experience to get you best results in Tree Mapping. SAAR Geospatial endeavour to provide best-in-class services. We have a proven track record in Tree Mapping and can on-board such assignments even with higher volumes. Contour mapping, the delineation of any property in map form by constructing lines of equal values of that property from available data points. 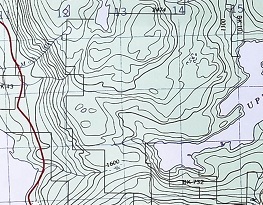 A contour maps consists of contour lines which are imaginary lines connecting points of equal elevation. Such lines are drawn on the plan of an area after establishing reduced levels of several points in the area. From the contours, it is possible to determine the capacity of a reservoir. SAAR Geospatial team has state of art technology and experience to get you best results in Topography Surveys. SAAR Geospatial endeavour to provide best-in-class services. We have a proven track record in Topography Surveys and can on-board such assignments even with higher volumes.